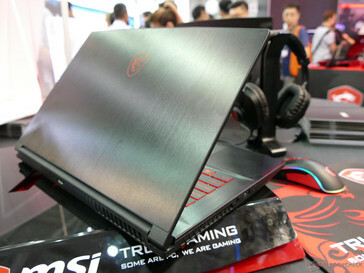 The GF63 is getting quite a few design queues form the GS65 Stealth Thin model. 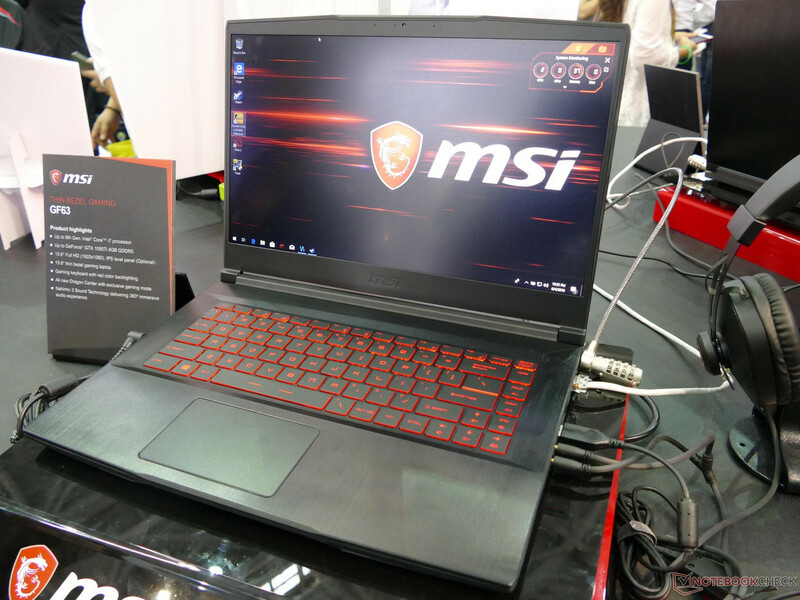 If you are searching for a 15-inch hexa-core laptop but maybe budget is not that generous, MSI has you covered with the GF63 series which should be launched soon. 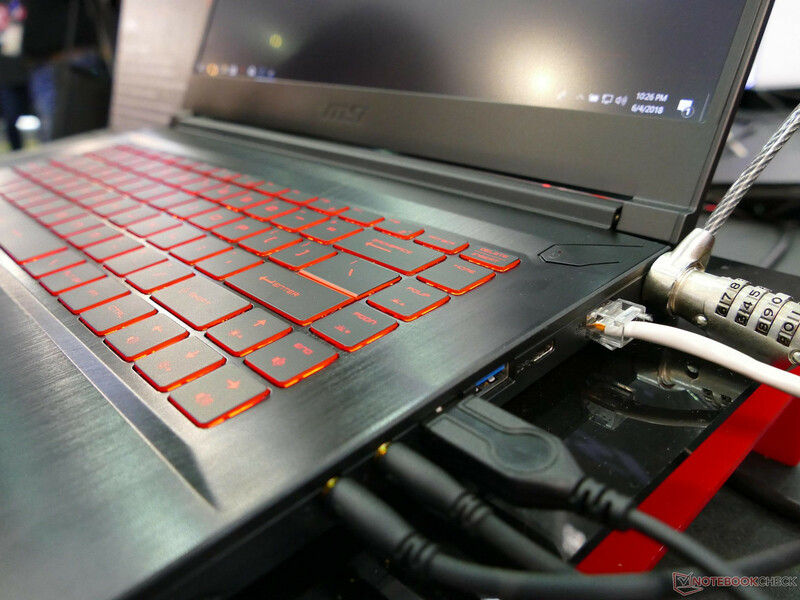 This sub-US$1000 model integrates the Intel i7-8750H six-core CPU coupled with 8 or 16 GB of RAM, and can pack a 256 GB SSD + 1 TB HDD storage combo. Users can also choose between the GTX 1050 or 1050 Ti GPUs. 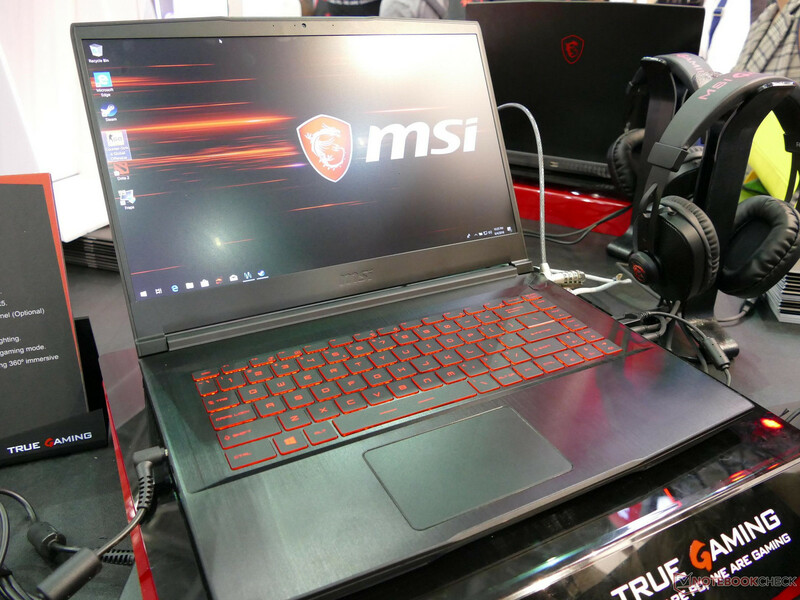 MSI has some good news for those looking to get a more affordable gaming laptop this summer. 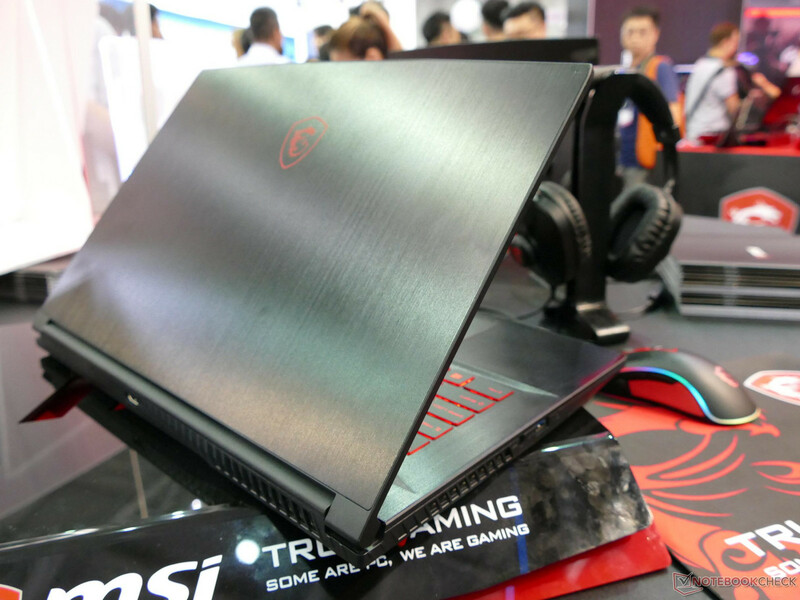 The new 15.6-inch GF63 laptop will come with up-to-date specs, but still keep the MSRP under US$1,000. Laptopmag got close and personal with the mode and reported back with some of the major features. 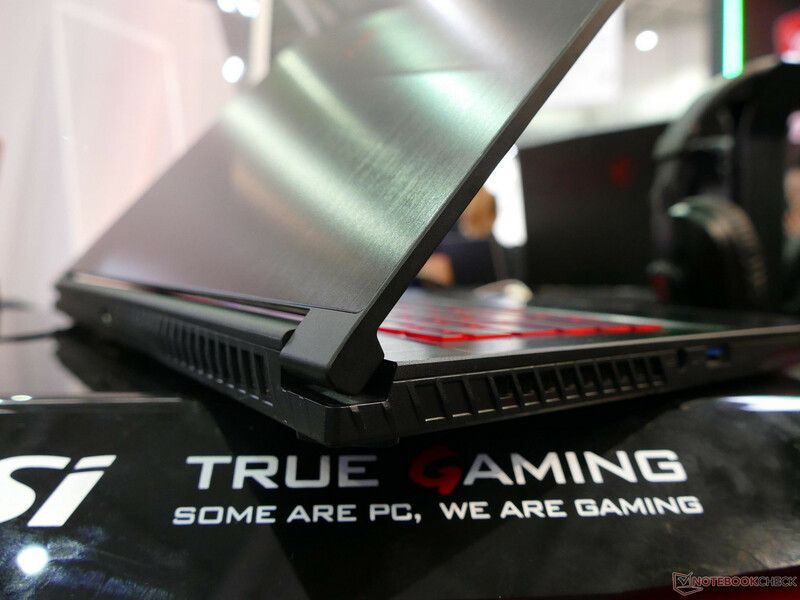 First of all, the design of the GF63 seems to be inspired by the cutting edge GS65 Stealth Thin, which makes it slimmer and lighter (0.85 inches thick and 3.9 pounds) than its competitors such as the Acer Nitro 5, Dell’s Inspiron 15 7000 Gaming and Lenovo Legion Y520. 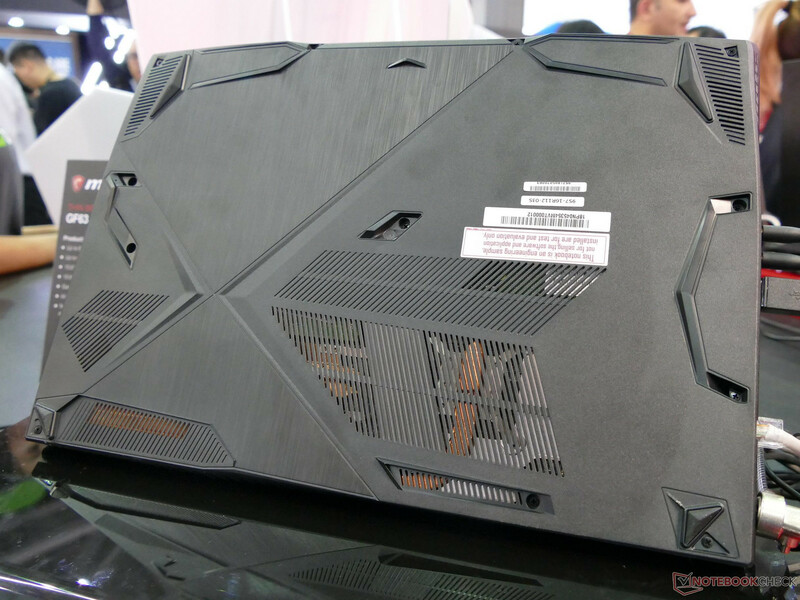 It is not entirely made of plastic, as it comes with an aluminum lid and keyboard area. The bottom side is indeed made of plastic, but the geometric design does a decent job at not making it look cheap. Spec-wise, the GF63 comes with slim bezel bright display, but it is limited to FHD resolutions. 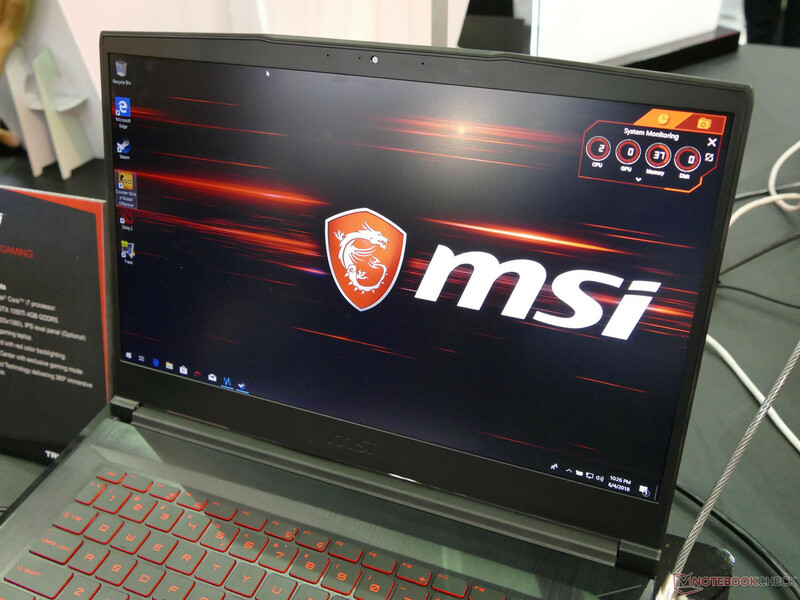 Since this is a budget version, the model may only be equipped with Intel’s more affordable gen 8 i7-8750H hexa-core CPU coupled with only 8 GB of RAM by default (expandable to 16 GB). No info on storage as of yet, but it most likely is limited to 256 GB SSD + 1 TB HDD. Users can choose among the GTX 1050 or the 1050 Ti version, which are decent entry-level gaming solutions. There also is a red backlit SteelSeries keyboard, plus a decent selection of connectors including 3x USB-C 3.0, Ethernet jack, mic in, headphones out, plus an HDMI out. The provided battery is said to last up to around 7 hours per charge. 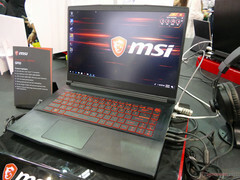 Pricing is set to start at US$999 for the default configuration, but MSI did not provide a specific launch date.